In one hand, there are a number of warriors who wielded swords, while on the other hand, they wielded a shield. In this country, for a long time, it has been this way for Slayers to fight in Arad. However, they only appear to have one weapon in their hand, that seems to have a tweak. Perhaps, the reason for this 'tweak' is due to their twisted left hand. These arms would fade to black, causing the left hand to have ghost-like symptoms. As their left hand would become an inconvenience, causing the infected Slayers not to be able to use their swords or shields. Furthermore, the only way to control the demon in their arm, was to tie chains on their left hand, to suppress their fight against the demon. Breakout of this Ghost Demon began occurring 50 years ago in Arad. As they studied the infected Slayers, even the top scholars have found that these horrible symptoms were not caused by genetics or even something found in a local area. Anyone - including you - and including an arm, can be cursed by the black devil's hand at any time of your life. There was almost no escaping it. It came to the point where you being caught by the ghost demon's grasp was just a common thing to happen. As the Slayers lived on, multidisciplinary physicians worked hard to treat the 'Ghost Demon' disease in different ways. The Slayers refused to listen to their fate and decided to focus on how to deal with the removal of the 'Ghost Demon' themselves, and work entirely on the use of good weapons. These Slayers that saw the reality of obtaining good weapons in their hands and to fight off the 'Ghost Demon' entirely, were named "Weapon Masters". 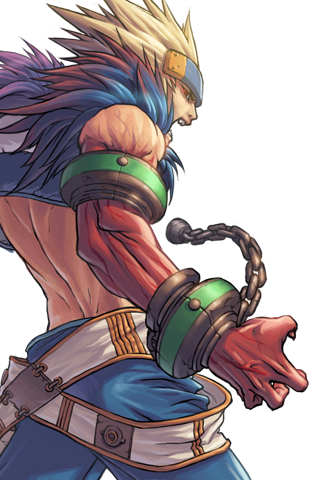 There are even other Slayers who wanted to attract the power of demons and loosened the chains on their left arm, to communicate more with these ghosts. These Slayers were named "Soul Benders". There now seemed to be ways to combat the 'Ghost Demon' syndrome, mostly for the better of the Slayer, however, there were some that were not so lucky. There are even Slayers that are caught in the Kazan syndrome, which are rare cases for such thing to happen. In general, the risk of such a syndrome is extremely slim, but with the Kazan Syndrome, the people increased their risk to become 100 times stronger than the other Slayers. By doing this, the Slayer caused himself to lead a non-social life and form a pattern of a dark life. These slayers were called the "Berserker". The Slayer derives his power from the demon Kazan, who dwells within his arm, locking this warrior in a perpetual struggle to keep from being possessed completely. Only the thick, mystical chains shackled to him keep the dark parasite at bay. As a consequence, the Slayer can only wield a weapon in one hand, a disability he has fashioned into a distinct advantage, doing with one arm what most other swordsmen would need two to do. He primarily attacks his enemies with swords and blunt weapons, but can also, when in a dungeon high in demonic energy, call upon the dark power within him to cast magic spells. This dark power also gives the Slayer a particularly high resistance to Shadow energy, but unusually low resistance to Light energy. Simplistic and easy-to-learn combos make this class more approachable to new players. Has a decent mix of magical and physical skills to adapt to different enemy resistances. Higher base Shadow resistance, but lower base Light resistance. A quick and versatile physical class able to use various weapons, including Lightsabres to their fullest. The Blade Master changes his mode of combat depending on his weapon of choice, I.E. Zanbatos focus on charged strikes for high damage and Katanas focus on dealing Signature Wounds with quick strikes. Every time the Blade Master switches his weapons, he will receive a special boon for each switch, further encouraging a diverse array of weaponry and skill. While not the toughest Slayer subclass, his Blade Master Light Armor Mastery emphasizes speed while providing some defense. A magical class that can deal Shadow Damage as well as AoE Debuffing support. He's usually associated with the Katana, though Short Swords are sometimes used. The Soul Bender prefers to use the ghosts embedded in his arm for combat and supportive purposes. Alternatively, the Soul Bender will fight directly with Shadow based attacks, mostly in tandem with his ghost summoning skills. Despite being able to fight in close quarters, his Soul Bender Cloth Armor Mastery means that care must be taken when receiving damage. A physical class that focuses on dealing damage in large bursts by sacrificing his HP and defense. 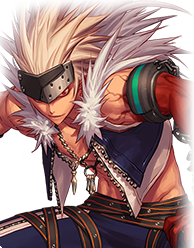 His Berserker Heavy Armor Mastery provides considerable protection but caution is still advised as he mostly plays with low health and has greatly reduced defense when he is at his strongest. He's mainly associated with Zanbatos, though Katanas and Bludgeons have been seen used by some. A much more direct magical class than the Soul Bender, the Asura fights from a distance with sword waves and long range elemental attacks. He specializes in Short Swords and Katanas, but is mainly associated with Short Swords. He has very high survivability from Asura Plate Armor Mastery with naturally high evasion from Hostility Detection. While small portion of his skills are innately elemental, the Asura's skillset will be imbued with Light Element attribute as he advances along. 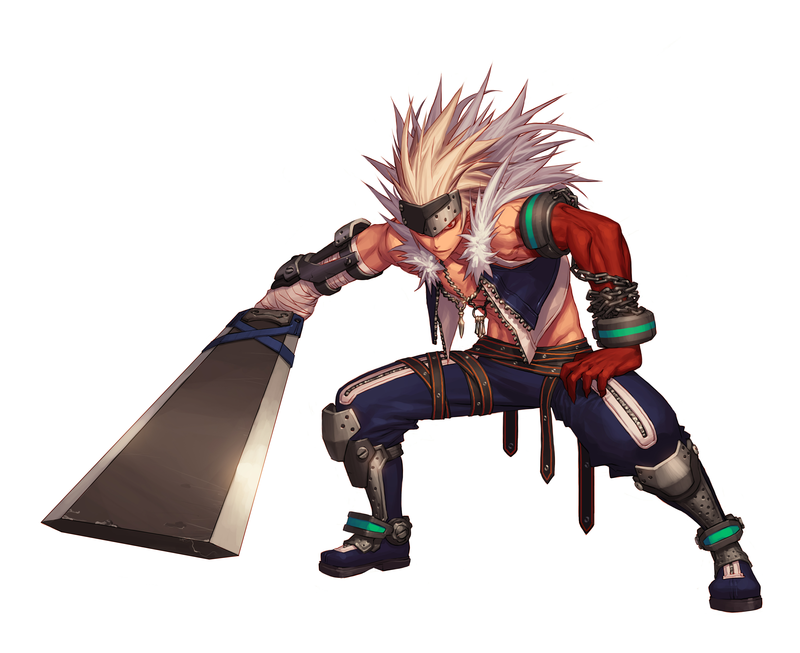 A unique form of Slayer who is bonded with a sword wielding ghost who tags along and assists him in battle. The Ghost Slayer is the most mobile of the Slayers in terms of attacking and movement speed but can also use various styles of attacking that involves either himself, his ghost companion or both simultaneously. Despite being a physical percentage class, his weapon of choice is the Katana however the weapon's magical and physical attack stats will be evenly regulated for the Ghost Slayer. He also wields Leather Armor, providing him with a moderate level of defense. The Male Slayer must first reach level 15.